Disc herniations are very common and are not a contraindication to chiropractic treatment. In fact, a majority of my patients have existing disc herniations. 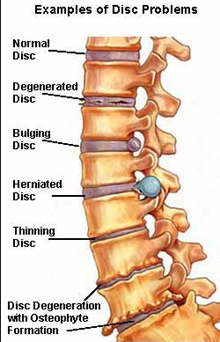 Studies show that many individuals (some as young 20 years old) have disc herniations and don't even know it. 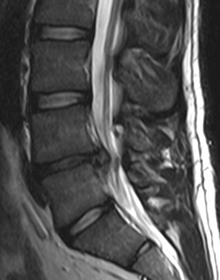 In short, disc herniations are fairly prevalent and are often asymptomatic. Regardless of whether or not your herniation is symptomatic or asymptomatic, you may still receive chiropractic care. Special attention will be given to your acute disc herniation and techniques used during treatment may be modified. 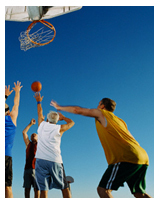 Dr. Smith successfully treats numerous disc injuries every year and highly recommends trying conservative therapy first. Whiplash injuries are injuries to the cervical spine or neck and are commonly associated with motor vehicle accidents. Quite often whiplash involves injury to the joints and soft tissue of the cervical spine which, if left untreated, could become chronic. These injuries tend to respond well to chiropractic treatment. It is important, if you have suffered a whiplash injury, to begin treatment as soon as possible. Early treatment intervention can be critical in shortening recovery time and helping to ensure a full recovery. Sciatica is a very common condition. The vast majority of people with sciatica do not need surgery. 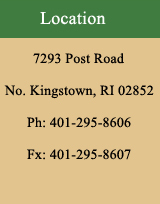 If you have sciatica or think you have sciatica, then it is important to get examined and treated right away. Any nerve condition, like sciatica, has a greater chance of recovering when treated at or near the onset of symptoms. Most sciatica responds well to conservative care. 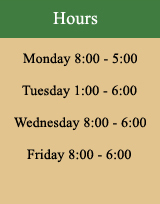 Dr. Smith can help you determine if surgery is an appropriate treatment option. Spinal stenosis is a condition in which the spinal canal that houses the spinal nerves and arteries is physically reduced in size, or narrowed, often as the result of arthritic change. When this narrowing puts pressure on the spinal nerves or arteries, symptoms such as lower back and leg pain or weakness may result. In many instances these symptoms can be managed quite effectively with conservative care. The actual narrowing of the spinal canal, however, can only be widened through invasive surgery, if warranted. Conservative therapy should be considered as a treatment option when rapid or progressive neurological symptoms are not present. Most cases of back pain are mechanical or non-organic-meaning they are not caused by serious conditions, such as inflammatory arthritis , infection, fracture or cancer. The back is a complicated structure of bones, joints, ligaments and muscles. You can sprain ligaments, strain muscles, rupture disks, and irritate joints, all of which can lead to back pain. While sports injuries or accidents can cause back pain, sometimes the simplest of movements-for example, picking up a pencil from the floor- can have painful results. In addition, arthritis , poor posture, obesity, and psychological stress can cause or complicate back pain. Back pain can also directly result from disease of the internal organs, such as kidney stones, kidney infections, blood clots, or bone loss . Used primarily by Doctors of Chiropractic (DCs) for the last century, manipulation has been largely ignored by most others in the health care community until recently. Now, with today's growing emphasis on treatment and cost effectiveness , manipulation is receiving more widespread attention. © 2010 Copyright American Chiropractic Association.